Welcome to kingsnake.com's Books, Publications, & Videos Classifieds. This section is for posting wanted and for sale advertisements for any and all types of herpetoolgy and herpetoculture oriented media including books, magazines, newletters, DVDs, or any other reptile and amphibian based media. 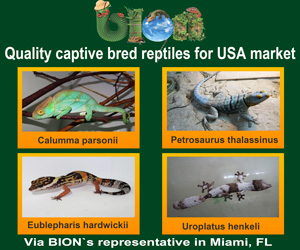 If you are looking for, or want to post advertisements for, other types of reptile and amphibian supplies, or accessories, or reptiles and amphibians please review our classified index for the appropriate category. Regardless of whether you are looking for a long out of print collectible book, a captive care guide for your latest pet, or the latest book to make waves in the reptile community, you can probably find it from a reseller below, or in kingsnake.com's bookstore. For questions on herp books and articles please check out our Books & Literture Forum, or to look at photos uploaded by users or to upload your own, check out the Photo Gallery.